Comic Con 2015 took place in San Diego this past weekend. And with the Con, a treasure trove of information, trailers, and nerdy goodies was unleashed. Here is a roundup of the most important tidbits. One of the most hotly anticipated new shows coming in the fall is Heroes Reborn , the continuation of the groundbreaking Heroes series. A steady stream of information on the show has been flowing recently, from casting announcements to teaser trailers. But until now, the actual focus of the series has all been speculation. Well, speculate no further. The trailer below catches you up on how the world has changed since Claire Bennett “came out” to the media at the end of the series. People with powers are hunted in some countries and ostracized in others. The number of people with powers is quickly increasing. And Noah Bennett (aka Horn-Rimmed Glasses aka HRG) has seemingly forgot something very important. All of this information sets the backdrop for what promises to be a awe-inspiring return to the world of Heroes, premiering Thursday, Sept. 24 at 8/7C on NBC. After revealing the first Suicide Squad Trailer at Comic Con, a sneaky viewer captured the video on a phone and posted it on the web. Under the pressure of having that low quality video circling on the web, Warner Bros went ahead and released the footage to the public. The trailer feels creepy. Viola Davis seems right at home as a eerily unscrupulous Amanda Waller. And while Will Smith’s character feels flat and emotionless, the diverse cast around him fully embodies a pack of psychopathic, sociopathic killers. In particular, Margot Robbie’s Harley Quinn is almost the the same level of extreme crazy that is captured in the comic books. And that is hard to pull off. And when Jared Leto takes center stage as The Joker at the end, he is positively chilling. Outside of the officially released videos screened at Comic Con, footage from X-Men: Apocalypse and Deadpool was also revealed to fans. We can’t expect to see the Deadpool footage for another three weeks and there is no word on when any X-Men footage will be released (even though fan captured videos are also circulating on the web), but those that were in attendance have been kind enough to share descriptions of each. Deadpool appears to deliver in the irreverence, adult humor, and gratuitous violence departments. And X-Men: Apocalypse footage sounds even more promising, showing a comic-like Apocalypse, a bevy of fan-favorite mutants, and a mohawk-sporting Storm. Seems FOX has finally figured out their X-Men properties. Yesterday, we highlighted the two trailers for The Walking Dead series (The Walking Dead and Fear The Walking Dead), and both are good examples of diversity in entertainment. Attention continues to be placed in that area as season 4 of Arrow will see the addition of (a hopefully Black) Mr. 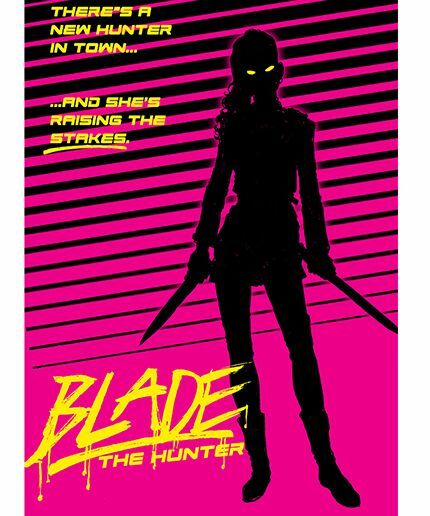 Terrific and a new Blade comic book series will feature the storied vampire hunter fighting alongside his own teenage daughter Fallon Grey. My take on Fallon is that she’s an “anti-Peter Parker.” She’s popular, well liked, and everyone around her thinks she has the future by the balls. But those kind of expectations come with their own stresses, and part of Fallon’s story will be dealing with what people expect her to be. Beyond the Batman v. Superman: Dawn of Justice trailer we shared, another DC property made waves with an announcement. The official title of the coming Green Lantern movie is now Green Lantern Corps, No castings have been confirmed, bu the idea of a Green Lantern film the includes a whole corps of the space police force is encouraging to say the least. Which development are you most excited about? Discuss in the comments section below!